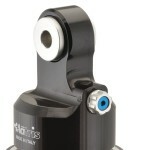 The M46KD is a rear shock for Naked & Road bikes, of very easy use and adjust for the road rider to get a right set-up. Computerized engineering systems are used to design, project and produce all the components and only materials of high-end technical and mechanical characteristics are used. High precision machining with the objective of reducing weight and friction to offer a basic range of shocks to improve comfort, safety, and setting (always with Matris “look”). • Cylinder D.46 with inner pressurized expansion tank (Nitrogen gas N2) with full floating piston for gas/oil separating. • Piston shaft D.16 mm made from high tensile alloy Steel, hard Chrome coatted. • Spring in Cr-Mb alloy Steel, available in different rates (based on the bike and the rider weight). 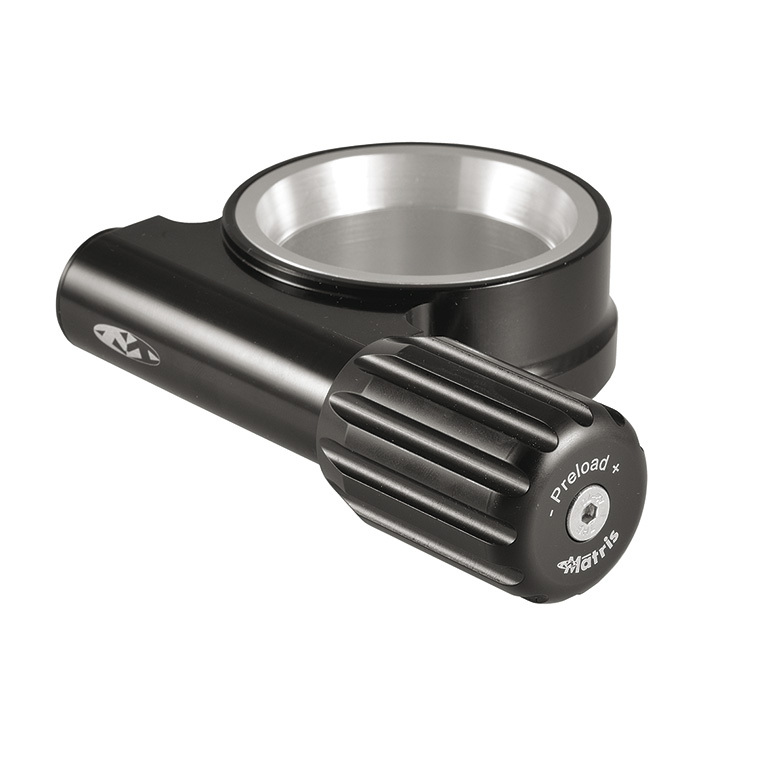 • All components, machined from Alu alloy, are with anodizing treatment. 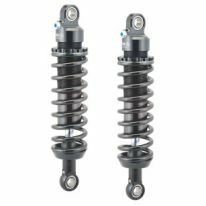 • The rear shocks series M46KD are supplied as standar with spring Preload by millimetric rings . 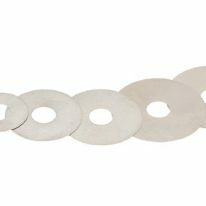 On demand, a unit of Hydraulic spring Preload. Is also available. 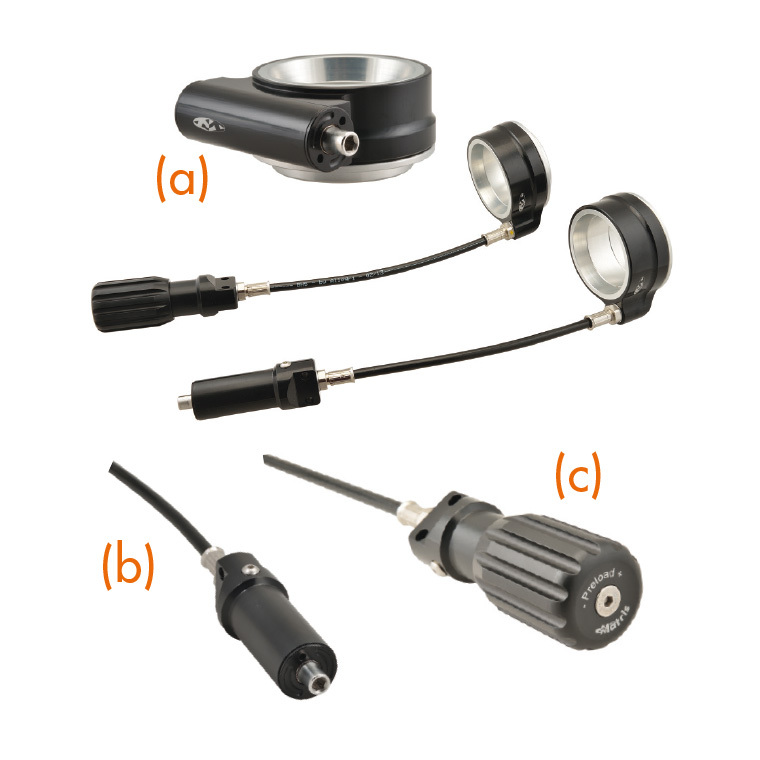 Type: (a) Integrated, (b) Flex, (c) Flex-Knob, according to different applications. Also available the new IK integrated hydraulic spring preload. 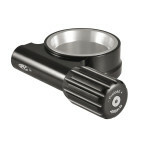 Many models, are also available with ride height adjustment for a customizable setting of the bike. Available also with Black Spring. I agree to the treatment of my data.